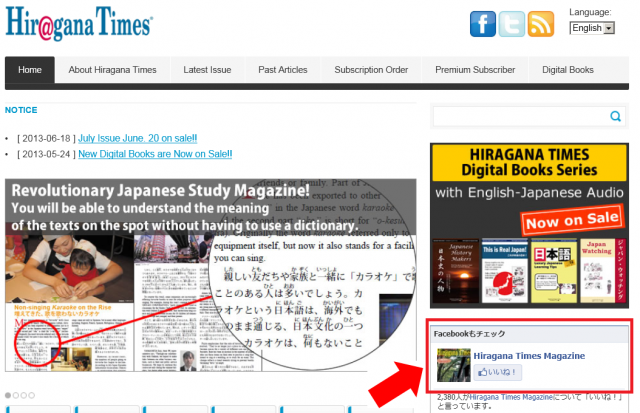 Here you can enhance your Japanese vocabulary and reading ability and deepen your knowledge of Japan as you read articles or Facebook in Japanese and English. Subscription costs the user a fee, but you can read some articles for free and it's a useful site for learners of Japanese. The free "Hiragana Times Magazine (facebook)" is updated frequently, and you can read new information on Japanese culture and society in English, kana, a kanji/kana mix, or romaji. In the free "Past Articles" section, you can read articles published over a year ago divided into the genres of Business, Entertainment, Food, Language, People, Society and Travel. We'll introduce the free-to-use contents, separated by level, below. They are all reading comprehension materials. 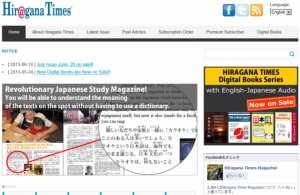 Using a dictionary tool such as Reading Tutor(Introduction Article) might help you read them a little more easily. 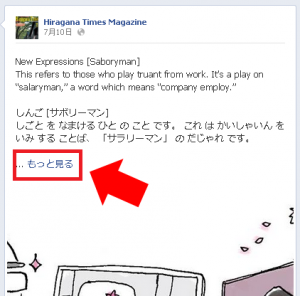 Various topics related to Japanese society and culture are adopted in the "Hiragana Times Magazine (facebook)". Enter from here. Three types of text have been prepared for the same content for beginner/intermediate learner use: English, kana only, and a kanji/kana mix. Click "See More" and you can see the whole thing. 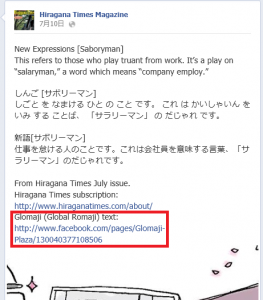 From here, you can read the text in romaji. 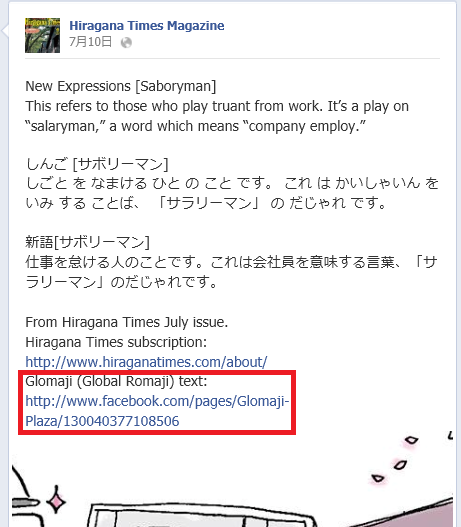 You can enter "Past Articles" here. From here, you can choose the genres of Business, Entertainment, Food, Language, People, Society and Travel. 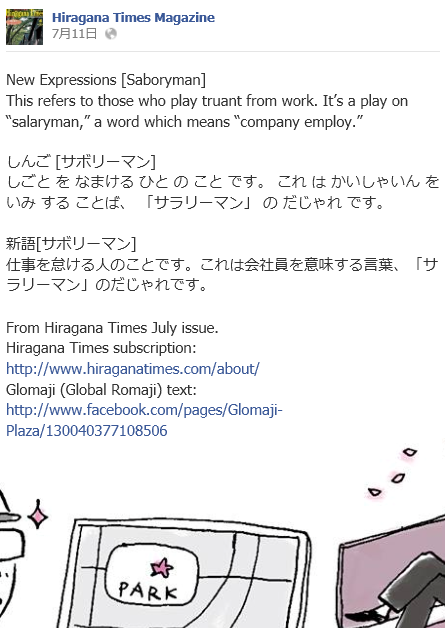 This text is requires advanced level reading ability. 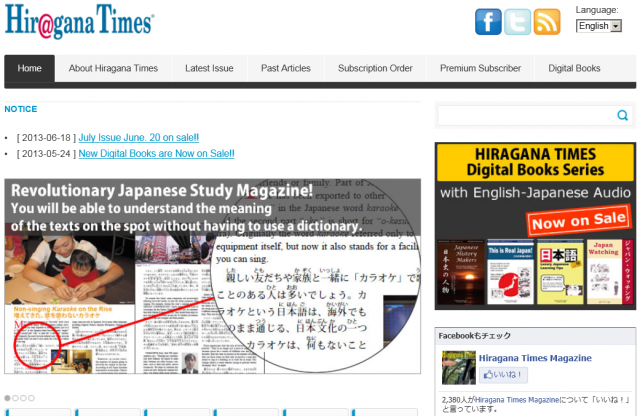 Since the degree of difficulty of the vocabulary and kanji used is high, please try reading these with a dictionary tool such as Reading Tutor.